Yellow journalism. Click bait headlines. Media sensationalism. However you label it, the term “fake news” has infiltrated our everyday conversation. A heated election, a speak your mind new president and unchecked social media outlets have only fanned the flames around this topic. 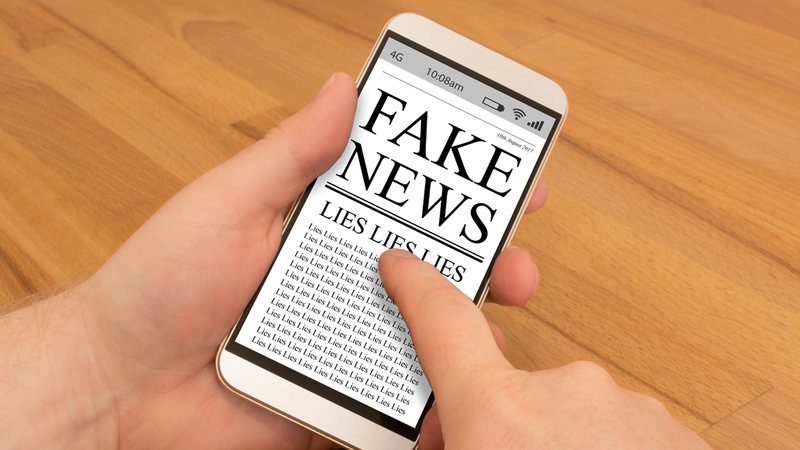 In simple terms, fake news is false or misleading news stories which often weasel their way into the mainstream via social media posts and shares. The proliferation of fake news has caused consumer confusion and an overall lack in confidence around news sources. Readers are turning their back on unknown websites in favor of tried and true media outlets with a long-standing reputation for quality. At the same time, advertisers are also turning a critical eye on publishers and are increasingly critical of ad placements. Fearful of being adjacent to untrue facts, radical opinions or even worse — hateful rhetoric – advertisers are demanding transparency into the content surrounding their ads. In the past 6 months, big media names like Facebook, Google and YouTube have been scrutinized for their complacency regarding fake news. During the election Facebook allowed fake news distribution to run rampant. Google failed to tighten restrictions sites and content allowed with the Google Display Network. And most recently, YouTube failed to watchdog their content, resulting in pre-roll videos running adjacent to white supremacist propaganda. As an advertiser, appearing next to questionable content is problematic because of the potential backward affect one errant placement can have on years of brand development. If a brand is placed within questionable content, negative perception can attach to that brand and skew public perception. In a real life example, Sofi, a personal finance company, recently ran into this problem. The brand, likely through programmatic buying or a direct network buy, ended up with an ad on the controversial Breitbart website. Consumers, noticing the ad placement, reacted swiftly and loudly on social media questioning the brand’s integrity and ethics with posts like “@sofi Are you aware that you’re advertising on Breitbart, the alt-right’s biggest champion, today? Are you supporting them publicly?” After this one unfortunate incident, Sofi was forced into defense mode to repair its brand image. So in a digital landscape ripe with fake news pitfalls, is there a safe space for positive brand equity growth? Enter the premium publisher. Premium publishers are tried and true news and information websites who are well-known brands in their own right. They feature award-winning journalists who write passionately about the topics and communities that matter most to them in a factual, unbiased fashion. They are an oasis for brands looking for brand safe environments that provide a positive brand halo. According to a 2016 ComScore study, advertising on premium publisher sites drives 3x the brand awareness and recall of non premium publisher sites. Additionally, trusted publishers tend to put more thought into their layouts generating a positive user experience as well as increased viewability for on site advertising. Fake news is certainly not an industry blight that we will be rid of quickly. As advertisers, we can only hold our brands tight, be conscious of the types of sites and providers we tend to work with, address any negative associations head on and remember that not all news is fake news.